Shell features Refuge HS HyperShield 2.0 technology with a corduroy collar and knit cuffs. Liner features water-repellent micro-fleece with 200 grams of poly insulation and zippered side pockets. 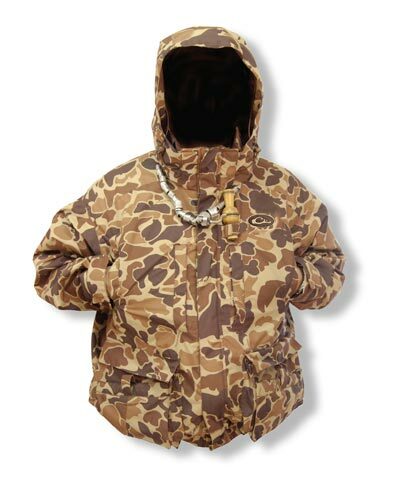 The innovative jacket that changed the waterfowl world matched with the camo pattern that started it all. 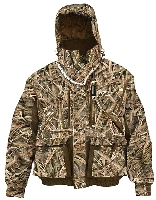 Our 4-in-1 Wader Coat set the bar for utility, fit, and quality and is packed with Instinctive Features. This systems jacket has a reversible removable liner, allowing the jacket to be worn in four ways: 1) shell with liner, 2) shell alone, 3) liner alone with camouflage side out, and 4) liner alone, reversed to solid color.